The average person probably would not recognise Theresa Harris's name, but if they have watched even a few classic films chances are good that they have seen her. Theresa Harris appeared in close to a hundred films from 1929 to 1958. Among the films in which she appeared were such classics as Horse Feathers (1932), The Women (1939), and Miracle on 34th Street (1947). She was beautiful, shapely, petite, and blessed with a mellifluous voice. Had she been born in a later era she may well have been a major star. 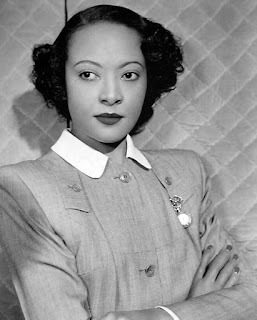 Unfortunately Miss Harris was born at a time when opportunities for African American actresses were extremely limited. She spent much of her career playing small, often uncredited roles, many of them maids. While she would spend much of her career playing maids, Theresa Harris had an impressive debut in the film Thunderbolt in 1929. Playing an uncredited role as a singer at the Black Cat Cafe, she sang "Daddy Won't You Please Come Home" in a slinky, shimmering dress. Here was Theresa Harris, beautiful, glamorous, and possessed of an incredible voice. In another time and place, the scene could well have launched Miss Harris as a superstar. That is not to say that Theresa Harris did not get other chances to shine. Indeed, particularly during the Pre-Code Era she had the opportunity to play some memorable roles. What might be her among her most famous roles is Chico, the friend of Lily Powers (played by Barbara Stanwyck) in Baby Face (1933). While Theresa Harris's name appears rather low in the credits, she has a rather major role in the film, as well as a good deal of screen time. Chico is Lily's friend, confidant, and "partner in crime", and Lily treats her as an equal. As Lily literally sleeps her way to the top, Chico takes the role of Lily's maid. Even then Lily does not treat Chico as a subordinate. Quite simply, Chico wasn't Lily's maid, she was her friend helping her keep up the illusion of class and wealth for Lily's upper class acquaintances. Chico is funny, practical, and charming. What is more, she gets to display her vocal talent, singing "St. Louis Blues" as she works in the film. Before Baby Face Theresa Harris got to play another remarkable role in Hold Your Man (1933). In the film the main character, Ruby Adams (played by Jean Harlow) is sent to a reformatory where she meets Lily Mae Crippen, played by Theresa Harris. It was apparently Lily Mae's father, a preacher, who sent her to the reformatory. The other inmates inform Ruby that Lily Mae used to pass around the collection plate at her father's church "and that ain't all." Even when Theresa Harris played maids they were different from the many other African American domestics seen in films during the Golden Age, and not simply because Miss Harris resembled Janelle Monáe more than Beulah. Theresa Harris insisted that she speak without dialect, and often she would not even wear a maid's cap. In Professional Sweetheart (1933) Miss Harris played Vera, the maid of Glory Eden (played by Ginger Rogers). After work Vera goes dancing and to night clubs in Harlem, telling Glory all the fun she has when she is not working. What is more, Vera has a good deal of talent. Glory is the "Purity Girl" on the radio show The Ippsie Wippsie Hour. When Glory temporarily leaves the programme, it is Vera who takes her place as the "Purity Girl". Once more we get to hear Theresa Harris's dulcet voice. Theresa Harris would continue to play some interesting roles beyond the Pre-Code Era. In fact, for many she may be most familiar as Rochester's girlfriend Josephine in the Jack Benny and Eddie Anderson movies Buck Benny Rides Again (1940) and Love Thy Neighbour (1940). In Buck Benny Rides Again Theresa Harris and Eddie Anderson performed the duet "My, My", going through several different dance forms in doing so. In Love Thy Neighbour Theresa Harris performed another duet with Eddie Anderson, "Dearest, Dearest". She also appeared with Eddie Anderson in the film What's Buzzin', Cousin? (1943), in which Rochester appears without Jack Benny. While Theresa Harris once more played Rochester's girlfriend, this time around she is called "Blossom" rather than "Josephine". In What's Buzzin', Cousin? she once more gets to show off her vocal talents, singing "Ain't That Just Like a Man?". Theresa Harris was not only apparently a favourite of Jack Benny and Eddie Anderson, but also Val Lewton. She appeared in two of Val Lewton's classic horror movies. She had a small, but memorable role in Cat People (1942) as the sarcastic waitress Minnie. She had a somewhat larger role in I Walked with a Zombie (1943) as Alma, the maid to Betsy Connell (played by Frances Dee). While Alma was yet another role as a maid, she was very atypical of maids in the Golden Age of Hollywood (as most of Theresa Harris's maid roles were) and she played an important role in the plot. 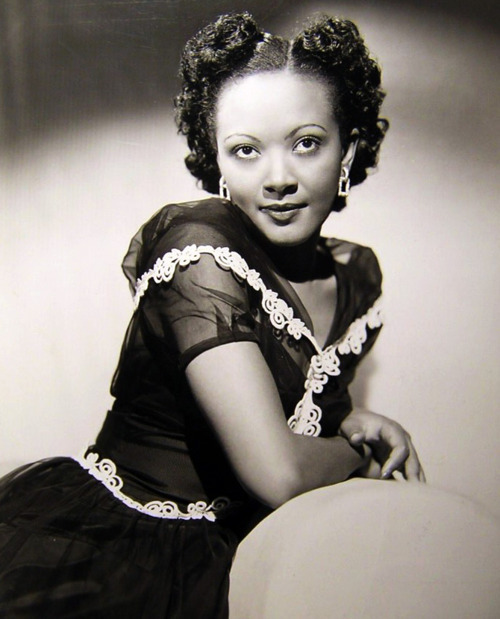 Theresa Harris also had small, but very significant roles in Tell No Tales (1939) and Out of the Past (1947). In Tell No Tales she played Ruby, the widow of a man who had been murdered, and had a very powerful scene at the murder victim's funeral with Michael Cassidy (played by Melvyn Douglas). In Out of the Past she played Eunice Leonard, a woman in a Harlem jazz club who is questioned by Jeff Bailey (played by Robert Mitchum). In 1937 Theresa Harris had the rare opportunity to play the female lead. It was in the race film Bargain With Bullets (AKA Gangsters on the Loose). She played the radio star Grace Foster, whose childhood friend Mugsey Moore (played by Ralph Cooper) has become a gangster. Bargain With Bullets was made by Million Dollar Productions, a company owned by Ralph Cooper and founded with the goal of making films with African American casts. They would make ten more films before closing in 1942. Sadly, Bargain With Bullets is believed to be lost. Theresa Harris's last film was The Gift of Love in 1958. Afterwards she retired from acting. She died on October 8 1985 at the age of78. Only rarely was Theresa Harris given the chance to play something other than a maid. Even when she played maids, she insisted that they not be stereotypes. She did not speak with a dialect and always insured her maid characters had personalities all their own. Theresa Harris was understandably frustrated with the roles Hollywood chose to give her. In an article in the August 28 1937 issue of The Afro American, she complained, "I never had a chance to rise above the role of maid in Hollywood movies. My colour was against me anyway you looked at it. The fact that I was not 'hot' stamped me as either uppity or relegated me to the eternal role of stooge or servant. I can sing but so can hundreds of other girls. My ambition is to be an actress. Hollywood had no parts for me." In an article in the September 11 1952 issue of Jet, she was quoted as having said that she thought she was typecast as maids because "...she has not been properly exploited." I wasn't planning on writing a post about the 89th Annual Academy Awards today. 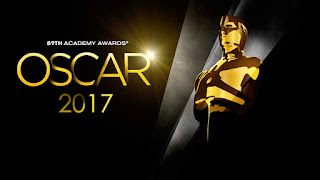 This year I saw none of the films nominated for Best Picture and the past many years I have not been particularly impressed by the hosts or the presenters. It is true I could always gripe about the In Memoriam segment (and I will here in a bit), but that doesn't seem to me to be enough to justify a blog post. As it turns out, a rather singular event happened last night that actually gave me something to write about. I assume most of you know what I am talking about. Quite simply, Warren Beatty and Faye Dunaway, in honour of the 50th anniversary of Bonnie and Clyde, were to present the award for Best Picture. Unfortunately, Warren Beatty was handed the envelope for the winner of the Best Actress award. Mr. Beatty was quite naturally puzzled by what he was reading, so he showed the card to Faye Dunaway. Miss Dunaway then announced La La Land. The cast and crew of La La Land then went to the stage only to learn moments later that the Oscar for Best Picture had actually gone to Moonlight. For those of you wondering how this could happen, there are always two duplicate envelopes on either side of the stage. This is done partly to keep the awards ceremony running smoothly and partly as a safety precaution. While Emma Stone kept one envelope that named her as the winner of Best Actress for La La Land, apparently the other envelope that listed her as the winner found its way into Warren Beatty's hands instead of one of the envelopes for Best Picture. When Faye Dunaway saw the card saying "La La Land", she quite naturally read it. 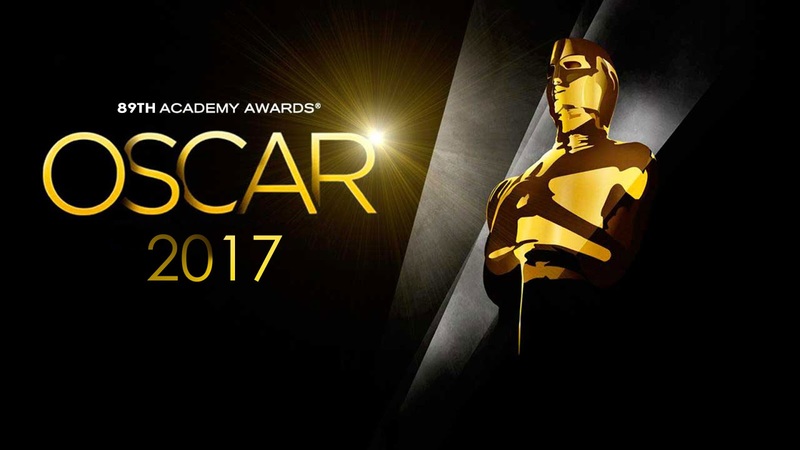 What is all the more surprising is that out of the 89 Academy Award ceremonies, something like this has only happened once before. At the 36th Annual Academy Awards Sammy Davis Jr. presented the Oscar for Best Adaptation or Treatment Score. Unfortunately, he was handed the wrong envelope and he announced John Addison for Tom Jones instead of André Previn for Irma la Douce. It was immediately realised an error had been made as Tom Jones was not even nominated in the category (instead it had been nominated for Best Original Score). Given the large number of awards given at the Oscars over 89 different ceremonies, it is surprising that this sort of thing has not happened more times. As to the rest of the ceremony, I have to say that I am happy that the Academy included more of its history this year. Before each of the acting categories they featured clips of past winners, many dating back to the Golden Age of Hollywood. Various presenters also discussed various movies that had an impact on them and then presented an award with one of the actors from those films (for example, Charlise Theron discussed The Apartment and then presented the award for Best Foreign Language Film with Shirley MacLaine). Given the past many years it has sometimes seemed as if the Academy thought that no movies were made before 1980, this was most welcome. Unfortunately the emphasis on film history does not seem to have extended to the In Memoriam. Once more the Academy left out several well known actors. The most glaring omission may have been Robert Vaughn. Best known for The Man From U.N.C.L.E. and The Magnificent Seven, he was nominated for the Oscar for Best Supporting Actor for The Young Philadelphians. Also omitted were screen legends Gloria DeHaven and Barbara Hale (who was a bona fide movie star before she was Della Street on Perry Mason). Bernard Fox, Alan Young, Hugh O'Brian, Doris Roberts, Burt Kwouk, and David Huddleston were among the many others who were omitted. All of these actors appeared in films and all of them were worthy of being mentioned in the In Memoriam segment. Aside from the sheer number of people omitted this year, the In Memoriam segment had one huge gaffe. Included in the In Memoriam segment was Australian costume designer Janet Patterson. Unfortunately, the photo was not of Janet Patterson, but of Australian producer Jan Chapman instead. Jan Chapman was quite naturally upset, in a large part because she was friends with Janet Patterson. Like most Oscar ceremonies, last night's Academy Awards ran fairly long I do think it could have been shorter. My problem is that there was a good deal of material that could have been cut. There was absolutely no need for a prank, which took up several minutes, in which tourists on a tour bus were taken to the Dolby Theatre. There was also no need for a popular segment from Jimmy Kimmel's show, "Mean Tweets". While comedy bits during the Academy Awards can be amusing (even though the whole tour bus thing wasn't), my own thought is that they take away time from more important things, such as the In Memoriam. In the time they wasted on unfunny comedy bits, they could have added several minutes to the In Memoriam segment! A complaint about last year's Oscars is that they were not diverse enough. This year's Oscars was a bit more diverse, with black actors nominated in every category and a black director in the Best Director category. Unfortunately, Hollywood still has a ways to go with regards to diversity. Dev Patel was the only person of South Asian descent nominated in an acting category. There was no one of East Asian descent nominated in any of the acting categories. The sad fact is that the film industry still does not give individuals of South Asian, East Asian, Hispanic, or Native American descent much in the way of roles in films. Ultimately I cannot say that this year's Oscars were any better or any worse (well, other than the Best Picture and In Memoriam errors) than those of the past few years. I do appreciate that they tried to incorporate more film history in last night's ceremony. That having been said, I do think they have a ways to go as far as improving the ceremony. The In Memoriam segment should be longer and more inclusive. When they are leaving out people of such stature as Robert Vaughn, Barbara Hale, and David Huddleston, they are clearly not devoting much time or attention to the segment.They should also cut out the comedy bits. This is the Academy Awards, not some late night talk show. I do expect some comedy from the host (let's face it, Bob Hope hosted more Oscars than anyone), but skits that run on for minutes should not be allowed. In the end, the Academy Awards should be centred on film history and should remain as dignified as possible. 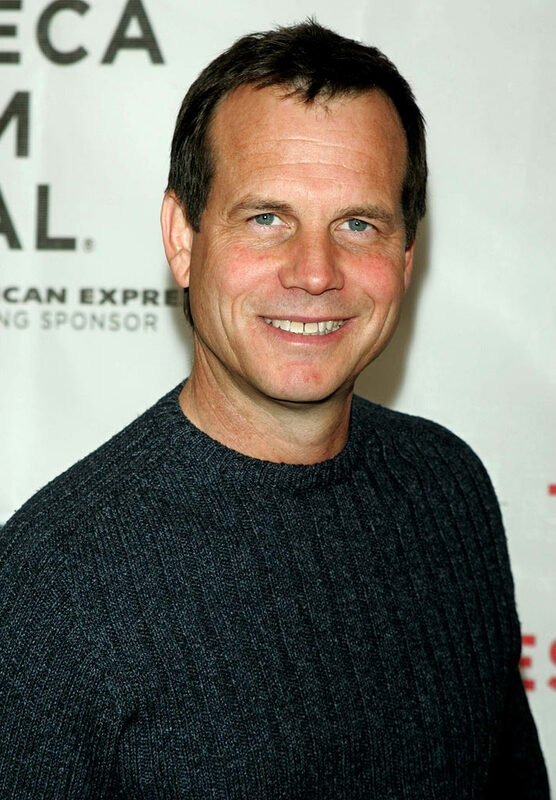 Character actor Bill Paxton, who starred in such films as Weird Science (1985), Apollo 13 (1995), and Twister (1995), as well as such TV shows as Big Love and Agents of S.H.I.E.L.D, died yesterday at the age of 61. The cause was complications from heart surgery. Bill Paxton was born on May 17 1955 in Fort Worth, Texas. When he was eight years old his father took him and his brother to see President John F. Kennedy at the Hotel Texas in Dallas on the morning of November 22 1963, the day that President Kennedy was assassinated. A photograph of young Bill Paxon, perched one someone's shoulders was taken on that day. Bill Paxton's first work in film was as a set dresser on the cult classic Big Bad Mama in 1974. He also worked as a set dresser on Eat My Dust (1976) and Galaxy of Terror (1981). His first role was an uncredited part in Crazy Mama (1975). Mr. Paxton studied acting at New York University for two years with legendary instructor Stella Adler. He appeared in the film The Egyptian Princess, an Unfolding Fantasy (1977). He directed and starred in the video for the song "Fish Heads" by Barnes & Barnes. He made his television debut in episodes of the show The Six O' Clock Follies. In the early Eighties, Bill Paxton appeared in small roles in such films as Stripes (1981), Night Warning (1982), The Lords of Discipline (1983), Mortuary (1983), Streets of Fire (1984), and The Terminator (1984). As the Eighties progressed he received larger roles in such films as Weird Science (1985), Aliens (1986), Near Dark (1987), Pass the Ammo (1988), The Roommate (1989), Next of Kin (1989), Navy Seals (1990), and Predator 2 (1990). He guest starred on such shows as Fresno, Miami Vice, and The Hitchhiker. In 1992 Mr. Paxton played his first lead role in One False Move. He also had lead roles in Trespass (1992), Monolith (1993), Frank & Jesse (1995), Twister (1996), Traveller (1997), A Simple Plan (1998), Mighty Joe Young (1998), and U-571 (2000). He had major roles in such films as The Dark Backward (1991), Boxing Helena (1993), Tombstone (1993), Apollo 13 (1995), The Evening Star (1996), Titanic (1997), and Vertical Limit (2000). He appeared on the TV show Tales From the Crypt. For much of the Naughts he starred on the HBO TV series Big Love. He also guest starred on the sitcom Fraiser. He appeared in such films as Frailty (2001), Spy Kids 2: Island of Lost Dreams (2002), Resistance (2003), Spy Kids 3-D: Game Over (2003), Thunderbirds (2004), and The Good Life (2007). In the Teens he appeared in such films as Haywire (2011), The Colony (2013), Red Wing (2013), Million Dollar Arm (2014), Nightcrawler (2014), Term Life (2016), and Mean Dreams (2016). On television he appeared on the TV show Agents of S.H.I.E.L.D., as well as the mini-series Hatfields & McCoys and Texas Rising. He is currently appearing in the TV show Training Day and is set to appear in the movie The Circle later this year. Bill Paxton played a wide variety of roles throughout his career, from heroes to villains and everything in between. He had an everyman quality that allowed him to play nearly any part he pleased. He was a crooked used car salesman in True Lies (1994), an employee of a feed mill who stumbled upon a plane filled with money in A Simple Plan, and an Irish Traveller in Traveller. He played historical figures from time to time, including Morgan Earp in Tombstone, Frank James in Frank & Jesse, Fred Haise in Apollo 13, and Randall McCoy in The Hatfields & the McCoys. Even when the material was not particularly good, Bill Paxton always was. Bill Paxton was also a classic movie fan, and he was particularly a fan of the great Buster Keaton. He loved Turner Classic Movies. In many respects this should perhaps not be surprising, as Mr. Paxton never behaved like a movie star even though he was one. It was not simply his fellow actors and the directors with whom he worked who said that he was one of the nicest guys one could hope to meet. Fans have said the very same thing. He may have been a talented actor, but he always behaved like an average guy.